Due to extremely low temperatures, crews can’t set up the heated tent so the burrito breakfast is canceled. At its core, Beat the Bitter is about bringing folks together on the bleakest days of the year. What better way to do that than a community breakfast! 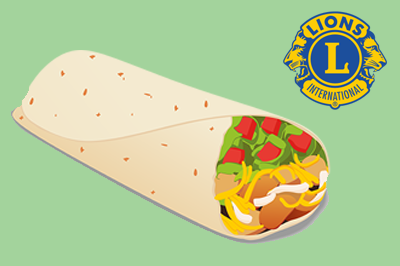 The North Liberty Lions Club will be serving up breakfast burrrritos from 8 a.m. until 12 p.m. on Saturday, February 2, in Penn Meadows Park. Don’t worry, you won’t have to freeze to take part. The event will take place under a large heated tent. $6 at the door will get you one burrito and coffee, juice or water. $5 advance tickets for the breakfast will be available at Beat the Bitter’s Wintry Warm UP and Fire & Ice Friday, but advance tickets are not necessary. Beat the Bitter’s Winter Games will also be taking place in the park that morning. Consider registering to run the 5K-ish Obstacle Run or compete in the kickball, broomball, curling or bags tournaments. If spectating is more your thing, that’s okay too – you can cheer on participants with a warm burrito in hand!